This winter I did an internship in which I set up a city garden in Tilburg. I found ten enthusiastic, mostly female neighbours, ready to cooperate in creating their neighbourhood’s kitchen’s garden. We learned about designing and preparing a garden, working together, and about physical endurance while spreading manure, transporting unwanted sand, and carrying and breaking paving stones. I was assigned to manage this project by the Brabantse Milieufederatie (BMF), an organization that tries to protect the environment. One of their focus points is on food, because food is a daily need that links many environmental problems like food transport, food packaging and unsustainable agriculture with use of pesticides and fertilizers. One way of solving these problems is by growing our local vegetables, for example in neighbourhoods kitchen’s gardens. 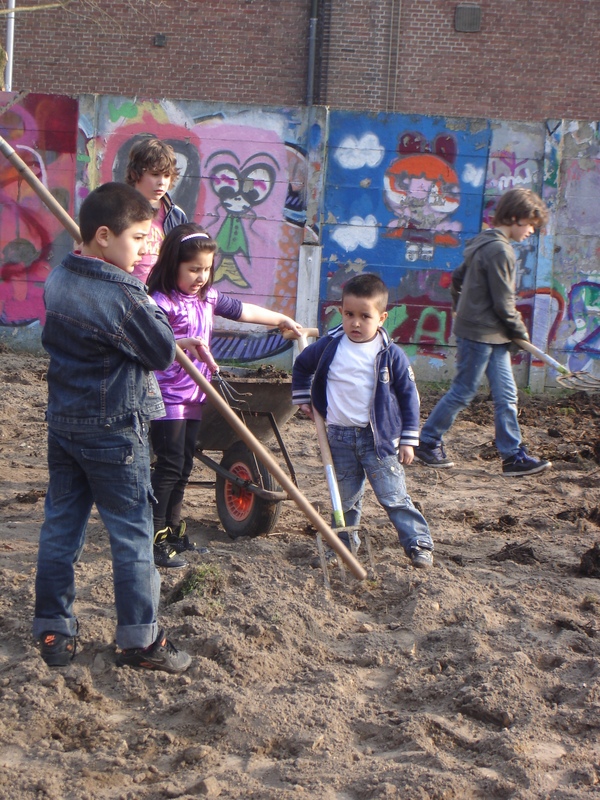 The BMF has, in cooperation with other organizations, tried to raise consciousness and support by the municipality of Tilburg on city gardens. As an example of how well it functions, BMF wanted to have one tangible kitchen’s garden in Tilburg. That’s where I came in. I started in November by searching for ground. The manager of a community centre heard about my plan and invited me to create a kitchen’s garden on the lawn of 200 m2, connected to his centre. Within a week I had gathered ten neighbours willing to grow food on the future kitchen’s garden. Moreover, I found two experienced kitchen’s gardeners, typical old men, willing to provide help and advice in building the garden and willing to stay in touch with the fresh neighbourhood gardeners to advise them on how to take care of their plants. With permaculture-designer Arjan de Vries I organised a workshop in which the neighbours were challenged to design their communal garden together. It resulted that the garden would consist of ten individual plots with a communal place for growing herbs, resting, and drinking coffee. By ascribing social and environmental funding and local garden companies, I gathered around 2000 euros and discounts on garden-material. 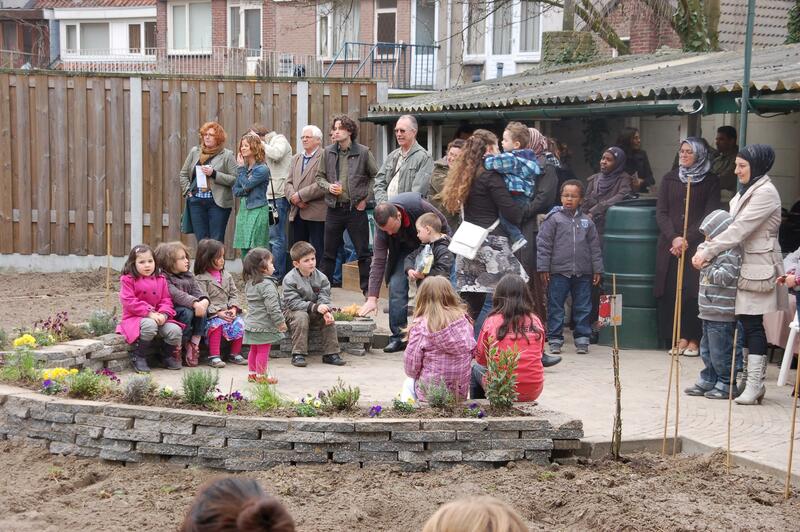 While managing this project, I wrote a script in which I described the steps to creating a kitchen’s garden in clear language, so that any citizen from Tilburg should be able to start one as well (Draaiboek Buurtmoestuinen). The garden group is a mix of Turkish and Dutch women, and one man. They have mentioned joining this project to grow fresh and tasty vegetables, to get to know their neighbours, and to be active in their neighbourhood. 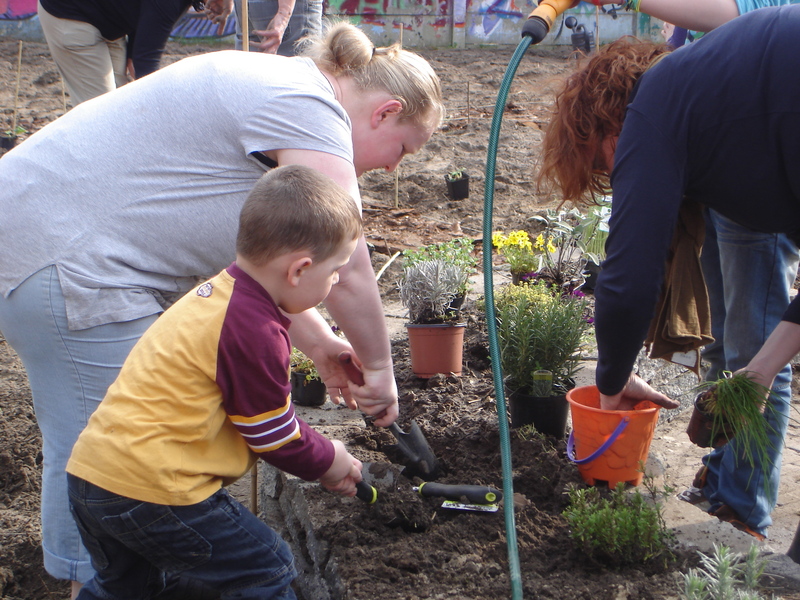 Although I have quite some confidence in the active participation of these gardeners, and they do have some support from the community centre, the continuity of the garden does remain a challenge. This entry was posted in Education, Food, RSO-student and tagged city garden, Food, Tilburg, Urban agriculture by RSO-Students. Bookmark the permalink.